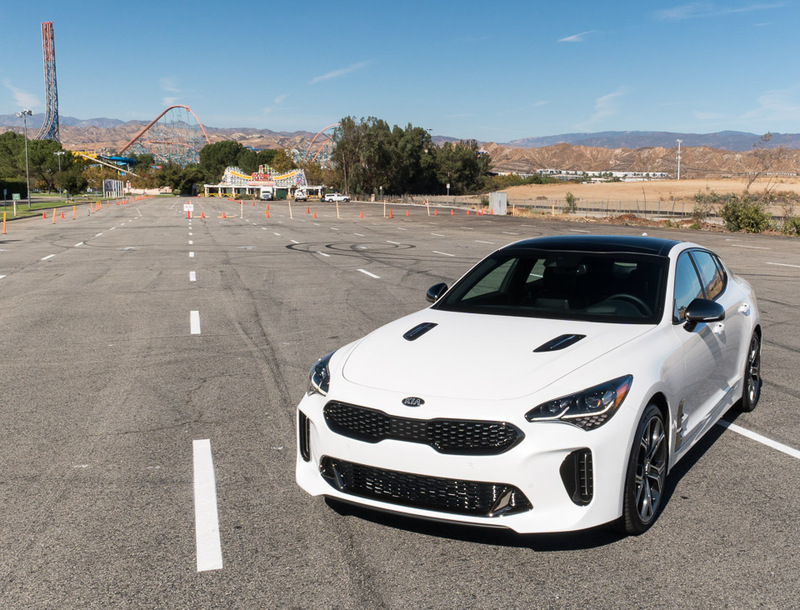 We got behind the wheel of the fantastic looking new Kia Stinger GT, and found that it not only has amazing acceleration, it handles great in the corners, is smooth and quiet for long road trips, holds five adults, and has class-leading cargo space. Read on for more. 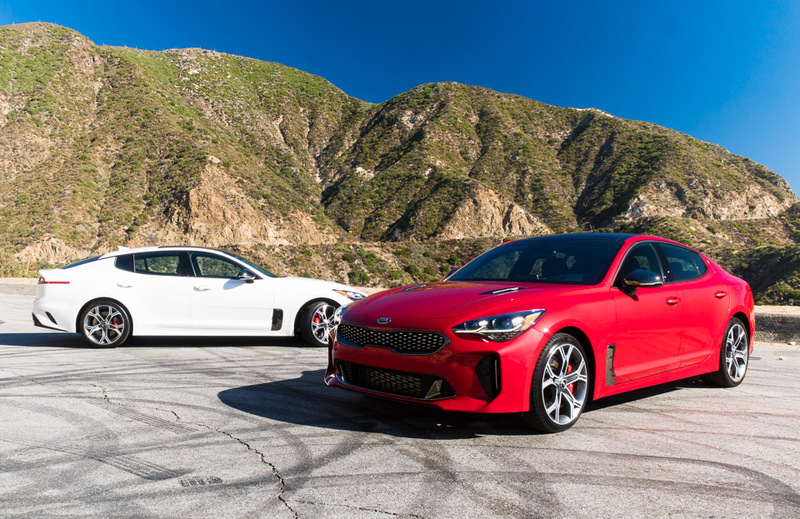 The most potent variant of Kia's new Stinger lineup, the Stinger GT packs a 365 hp, 3.3-liter twin-turbo V6 engine with 376 lb-ft. of torque, providing fast and steady launches from 0 to 60 in just 4.7 seconds. 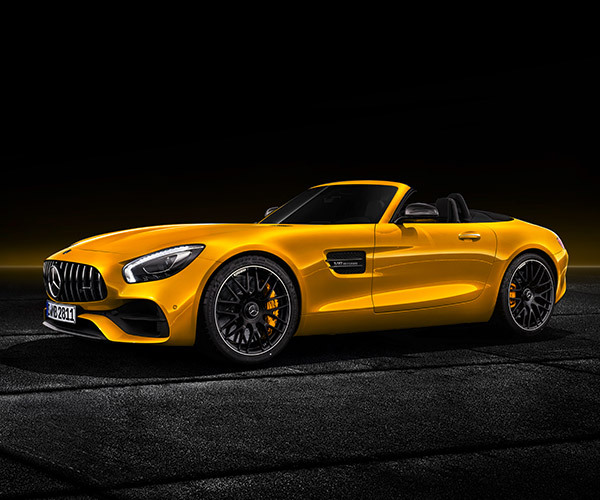 Its top speed is an impressive 167 mph. Inspired by the great European gran turismo cars of the '60s and '70s, the Stinger is truly worthy of the GT badge, offering plentiful power and a supremely comfortable ride for long road trips. The 8-speed automatic transmission is one of the smoothest we've encountered, and helps improve mileage too. 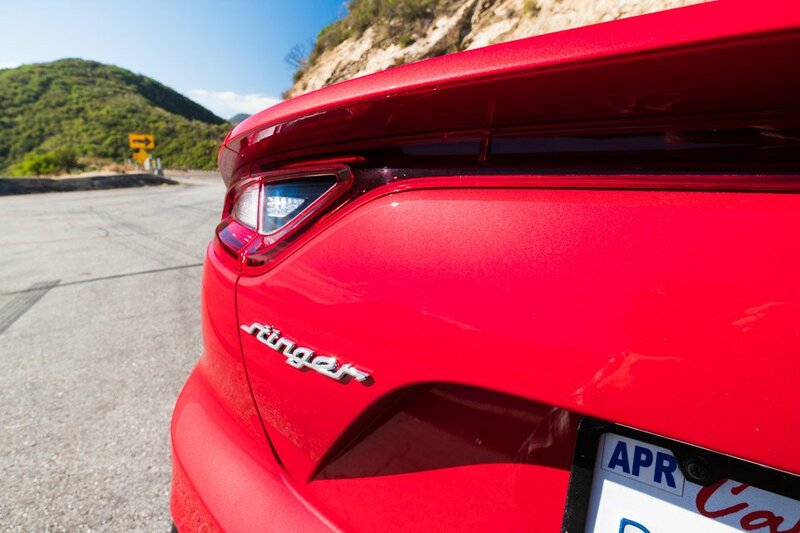 We checked out the Stinger in several colors, but the rich "High Chroma" Red is truly special in person. Photos just don't do it justice. 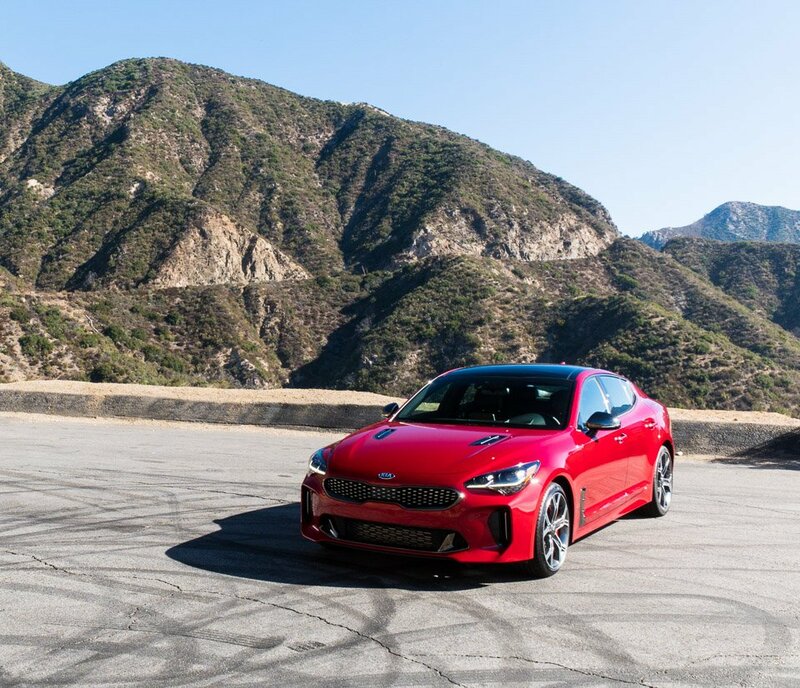 The Stinger GT gets some serious performance equipment, like Brembo 4-piston disc brakes with fade compensation tech, engine and transmission oil coolers, and available adaptive dampers and a limited-slip differential. 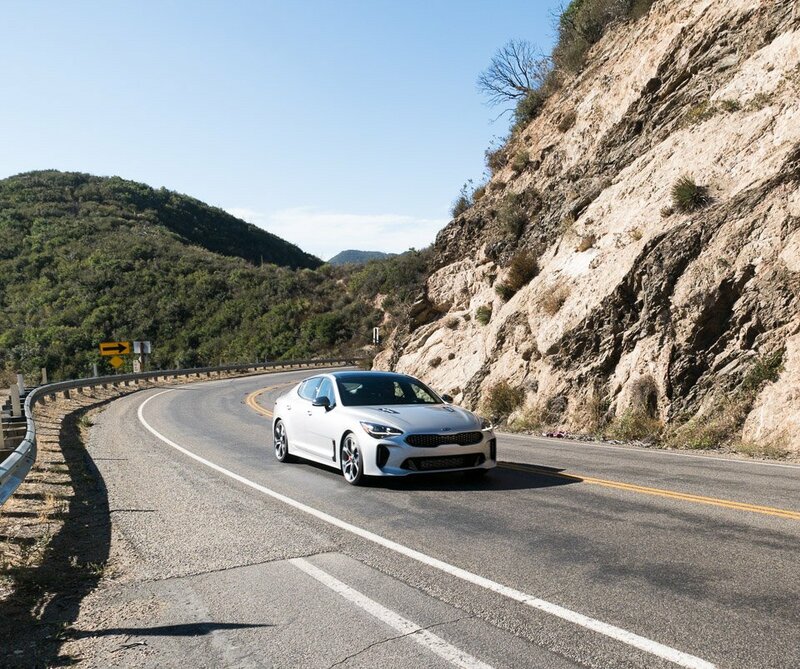 Part of what makes the Stinger so special is that it's not just a sporty car, but that it's spacious. Thanks to its hatchback design, its got the same kind of cargo room as a crossover - 23.3 cubic feet behind the second row, and up to 40.9 cubic feet when they're folded. 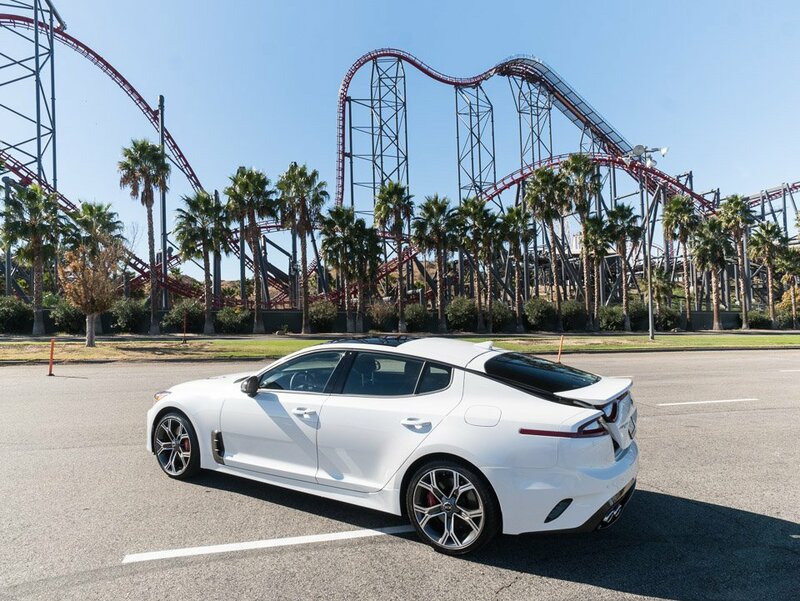 The Stinger GT offers multiple driving modes which can affect steering, throttle response, transmission, stability control, all-wheel drive, and suspension. 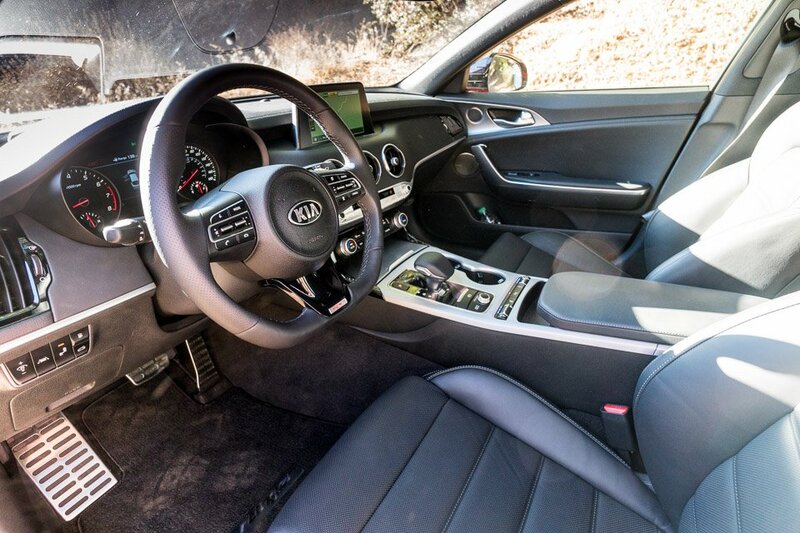 Naturally, Sport mode was our favorite, with its sharp handling, direct steering, and responsive acceleration. 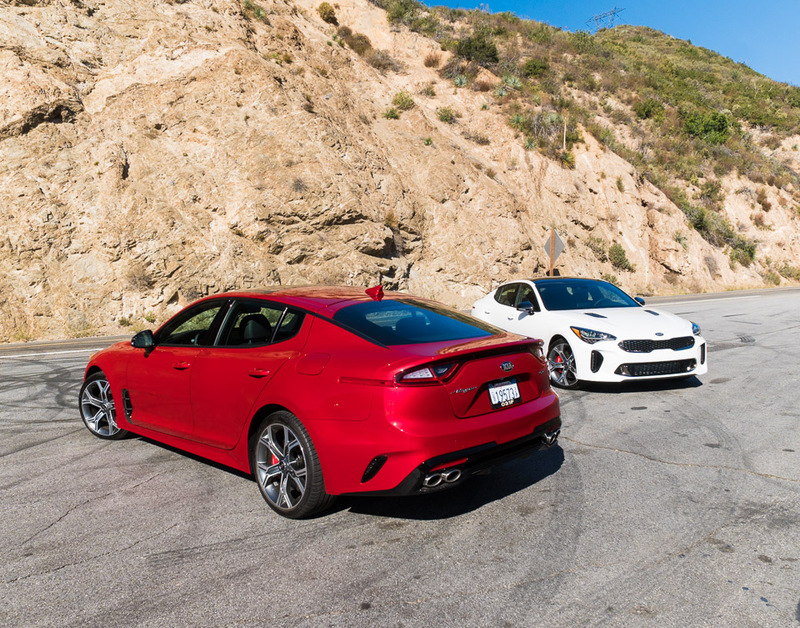 We also took the Stinger for some fun on the autocross track, and it outhandled cars that cost more than twice as much. The rear-wheel drive model was the most fun, offering satisfying, but well-controlled powerslides through the bends. If you're looking for something more precise, the all-wheel drive variant follows the line better, but with fewer thrills in the corners. Inside, the Stinger GT has a great cockpit-like layout, with aeronautically-inspired round air vents, real aluminum trim, and a D-shaped sport steering wheel. 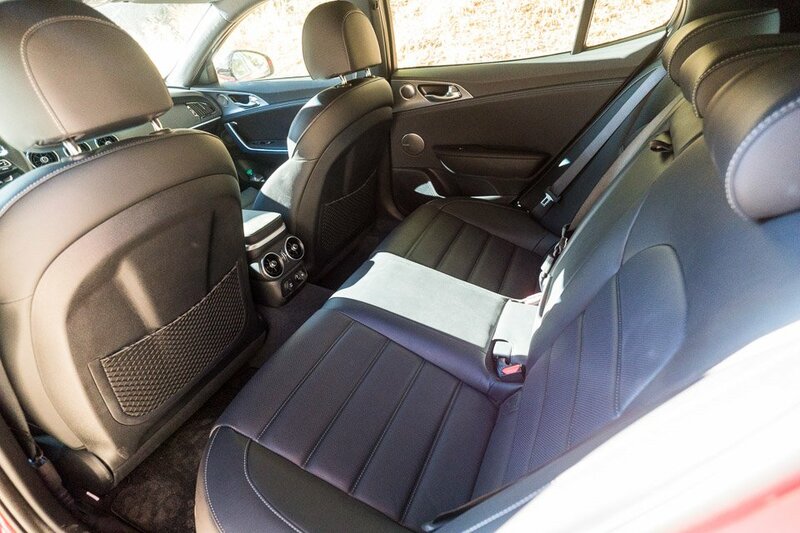 There's plenty of real leather on the seats, doors and other surfaces, and the fit and finish is top notch throughout the cabin. 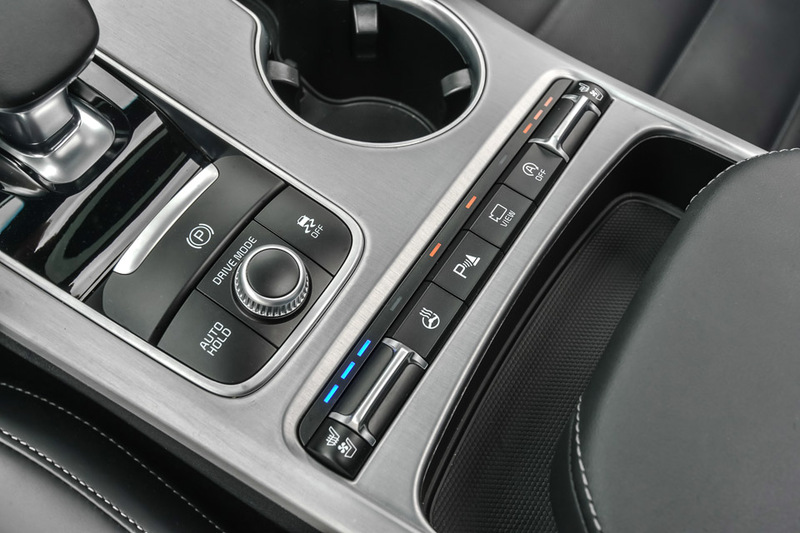 Premium features like heated and cooled seats, auto hold brakes, Apple CarPlay, Android Auto, and an excellent 15-speaker Harman Kardon audio system elevate the Stinger even more. We just love the styling of the Stinger - with its agressive, athletic looks, wide stance, long wheelbase, and fastback roofline. We found the front seats to be extremely comfortable and supportive, making them ideal for extended road trips without fatigue. Unlike most sport sedans, the second row has plenty of room for real adults, besting much pricier competitors from luxury brands like Audi, BMW, Mercedes-Benz, and Porsche for leg room and back seat comfort. 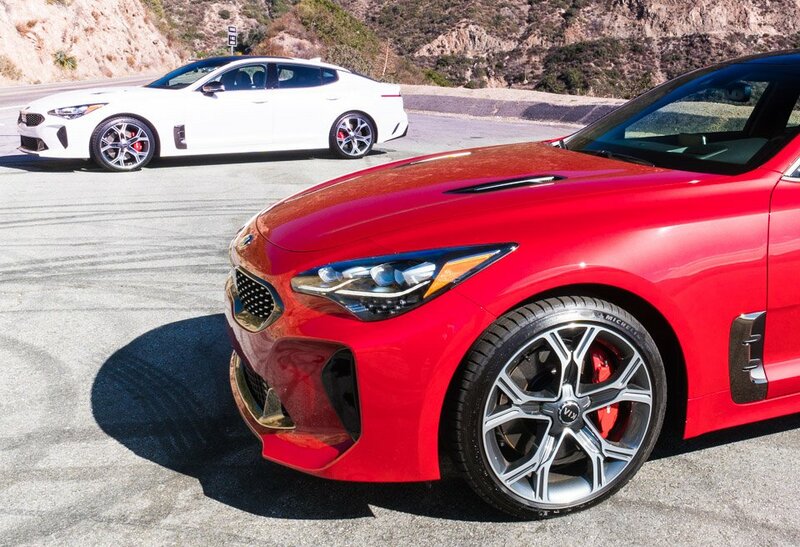 The Kia Stinger GT is the complete package - offering beautiful styling, performance, agility, a comfortable ride, modern technology, and great passenger and cargo space. Best of all, it's really reasonably priced, with the RWD model starting at just $39,000, and just $2,000 more for the AWD model. Fully loaded, it's still under $50K. 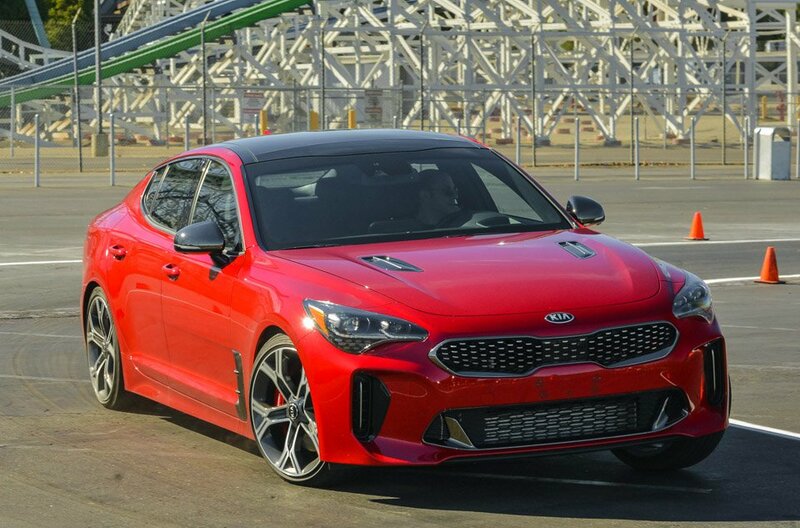 For those looking for a more economical alternative, the Stinger is also available with a 2.0-liter, 255hp engine with a starting price of just $31,900.